Practice fueling to prepare your stomach for the caloric demands of long runs and races. 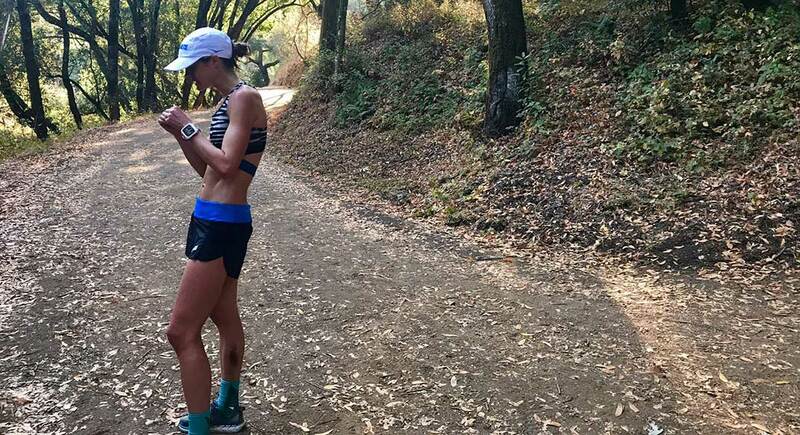 Megan Roche practices her fueling strategy with a gel during a long run in Rancho San Antonio Park outside Sunnyvale, California. Photo by David Roche. The stomach is a trainable organ. Just as run training helps strengthen your legs and make your cardiovascular system more efficient, nutrition training helps improve your stomach’s ability to handle the large amount of calories you need to consume during longer runs and races. Failing to train the stomach as hard as you train your legs, lungs and heart could ruin your race no matter how many miles you run. Asker Jeukendrup, a leading exercise physiologist and sports nutritionist, illustrates the principle of gut training simply in a 2017 review article in the journal Sports Medicine: with hot-dog eating contests. In July 2017, the Kilian Jornet of competitive eating, Joey Chestnut, ate 72 hot dogs and buns in 10 minutes. He accomplished this feat of staggering gluttony through a complex training regimen focused on expanding stomach volume and decreasing perception of fullness. Similarly, trail runners can train their stomachs to maximize absorption and decrease GI distress during activity. And unlike Chestnut, you don’t have to dip hot dogs in water to do it. A 2017 study in the journal Applied Physiology, Nutrition, and Metabolism showed the effectiveness of a short bout of gut training. The study took 25 endurance runners through an initial “gut-challenge trial” (a term that is essentially a synonym for “ultramarathon”). The gut-challenge trial involved low-level aerobic exercise for two hours (at 60 percent of VO2 max) and a one-hour distance test, all while consuming the equivalent of about a gel packet every 20 minutes. After the initial gut-challenge trial, the 25 runners were separated into three groups. For two weeks, two of the groups practiced consuming carbohydrates during exercise, and one placebo group ran without consuming carbohydrates. The gut-challenge trial was then repeated, and the results were staggering. Two weeks of gut training improved performance and reduced symptoms of gastro-intestinal distress for the carbohydrate groups. Meanwhile, the placebo group got slower and crampier. How can you harness the power of gut training? 1. Practice your race-fueling strategy consistently during runs over 90 minutes. When it comes to fueling, there’s nothing to it but to do it. Develop a fueling and hydration plan for your next race, practice it on most of your long runs and then use that same plan on race day. In the Sports Medicine review article, Jeukendrup breaks down the current state of knowledge about gut training. Among other things, stomach comfort improves with practice ingesting large amounts of fluid; and absorption of carbohydrates improves with practice ingesting carbohydrates during training. Just like hot-dog eating, free-throw shooting and guitar shredding, practice might not make perfect, but it does make better. The general rule is to start at 200 to 300 calories per hour and adjust as needed for your body type, goals and background. In practice, I usually have athletes start with a gel every 30 minutes (with the first gel waiting until one hour in), supplemented by diluted sports drink to add calories and hydration. But a wide range of strategies can work—develop your plan and stick with it. 2. Run with different types of fuel. 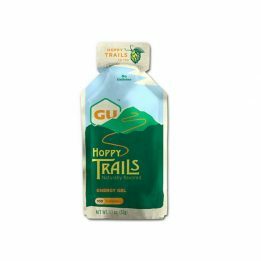 A race-day diet of gels can work for some, but especially in longer ultras, another packet of sweet goop can become nauseating. Within the same calorie-per-hour framework, you can add other foods, including foods that are not just carbohydrates. Notably in the Applied Physiology study, one carbohydrate group consumed solid food, as opposed to solely gels. That group had most of the same positive adaptations, demonstrating that foregoing gels does not necessarily mean foregoing performance. I sometimes have athletes eat their favorite snack during long runs to see how far we can push their stomachs, especially before ultras. Some of my favorites are salt and vinegar potato chips, Reese’s peanut butter cups and bacon-rice balls. If you plan on consuming other foods, practice with those in training too. Just like run training, start by practicing extreme moderation before progressing to more advanced foods (mid-run pizza, anyone?). 3. Consider liquid fueling strategies. For some runners, real food and even gels may cause GI distress. For these runners, liquid fueling can work, including in all-day 100 milers (for example, Magda Boulet fueled with Roctane drink when she won Western States in 2015). A 2016 study in the International Journal of Sport Nutrition and Exercise Metabolism had nine athletes complete a five-hour simulated triathlon two different times—once fueling with gels and once fueling with liquid nutrition. While performance was not significantly different, seven out of nine reported GI discomfort with gels and none reported discomfort with liquid. Have a finicky stomach? Try liquid fueling, aiming for the calorie-per-hour total that works for you. This method requires some advanced planning, so make sure you don’t just wing it on race day and end up under-fueling and bonking or over-fueling and bloating. 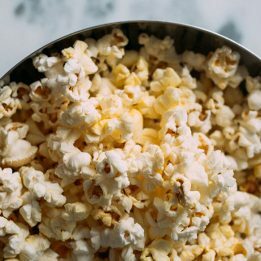 What is your opinion of doing 2-3 hour long training runs without ingesting carbs to teach the body to adapt to fat utilization and not rely on fast-burning glycogen stores? There are some schools of thought that encourage this for marathon preparation. Yes, understood – hydration and electrolytes very important to maintain during long runs. However, in reference to BOTH of your articles (Fasted Long Runs and Train Your Gut), how to intelligently utilize the two strategies can become a challenge. For instance, during a marathon training cycle of say 20 weeks, when would you begin implementing the “Train Your Gut” element and begin taking on carbs/gels while not undermining the fat-burning/no carb conditioning thus far undertaken during previous long runs? Am I splitting hairs too much? Not splitting hairs too much at all–on the individual level, that is so important to think about (almost impossible to make generalizations though). An individual example might be our athlete Trevor Fuchs, who just won Wasatch. Every long run over 16 miles was fueled except for 2, both 20 miles. Otherwise, he just didn’t fuel on his daily run, which at 10-15 miles made him plenty fat-adapted for our purposes. All is different for an athlete that is doing something like strict fat adaptation, which we generally don’t support unless an athlete is training for flat ultras. This has totally changed the way I train for ultras. I went on a 40% fat, 35% carb and 25% protein regimen recommended by my nutritionist Brooke Schoole of Fuel To The Finish and I have never had any issues with nutrition or hydration on any of my long runs or ultras. I have found that nutrition is also very individual though…this plans works great for me though! kind of a silly trial. Of course the group receiving the placebo got slower and crampier. They were running, not couch surfing. FFS please vet your content before publishing. Thank you for your input Cam! What the study found was that GI symtoms were worse (as was performance) in the placebo group relative to the fueled groups even when they fueled on the 2nd gut-challenge trial. It’s a well-designed study, click on the link and download it if you can. Thanks for seeing this, Cam! Another *forehead palm* article in the contant stream. I had the same thoughts as brushman on this. It fit well with my penurious nature in not wanting to spend a few dollars on gel every long run. But having recently endured stomach issues in a race I wish I had seen this article early in the summer. Thank you so much for the comment Billy, and so sorry about the stomach issues. While practice can’t totally prevent them, it can reduce their prevalence and chance of derailing races. If there is ever any article topic that might be helpful to you, contact me anytime! I wish I had written this one sooner! Dave- thanks for the article again, how about an article on how to control breathing, hyperventilating, etc, especially for sea level runners competing at altitude. Amazing suggestion, we have never done one on that topic. THANK YOU! Bacon rice balls sound amazing. Do you have a recipe? Thanks! Having suffered terrible bouts of nausea in longer ultras, I switched over to Tailwind for all of my longer races (50+ miles) and it has worked great. You definitely have to experiment with concentrations and caffeine amounts, but it’s great fuel for the long days. I do pick up some table food as needed, mostly to break up the boredom of drinking the same liquid all day, but the primary calorie source, as well as electrolytes, comes from the Tailwind. It’s been a game changer for me, despite my skepticism of using nothing but liquid for 24 hours! LOVE! Thanks for the amazing comment Amy! I have gut issues thanks for this article. I need to figure out how to fuel better ,bomb queen. I’ve actually considered avocado but haven’t yet. Gu get Nasty. 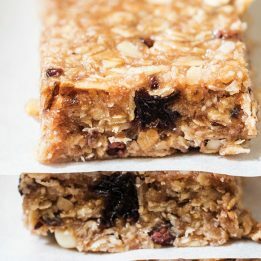 Experiment with your fave foods, even candy bars! Agree with Amy about Tailwind, but also have found that solid foods containing some fat and protein — and savory foods — sit much better and reduce nausea over 50+ miles. Everyone is an N of 1 so its definitely trial and error. And no matter what, puking is still just part of ultrarunning, but with training you do get better at running while nauseated!! Thanks for your amazing input Andy! Should I anticipate (or try to work towards) needing less water, carbs, salts as fitness&strength progresses and I get more experience at longer distances? I’m bigger(~200lb) and have done a couple pretty steep 50k’s (mostly on liquids like Tailwind). It seems like I have to ingest a ton and sweat so much out while fighting off leg cramps after ~22+miles. Some fellow racers don’t seem to need so much. Does improved fueling efficiency happen? There is a major training/genetic component there, but intentionally under-hydrating does not help (you can become better at fat-utlization). Have you used the sauna? I recommend doing that, which could improve your sweating efficiency! Cool! I’ll check out using the sauna as a tool. You actually make it look really easy in your presentation, but I regard it as a true one that feels that you can never understand this. It feels very complicated and very expansive for me. I am prefetching your next submission, I will try to persist it! I love that you always include liquid fueling strategies!